Please pat me on the back. Go on, I can’t reach it that well myself. UFQ #2, the Circle Quilt has been COMPLETED. That’s the third completed UFO for those of you keeping score at home. Here’s a shot of it with scrappy binding sewn on, but not hand sewn to back yet at the time of photography. 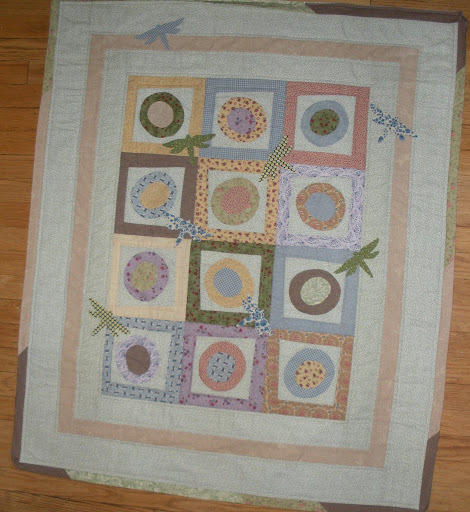 This was one of my first quilts (that I started, that is) and I suspect it may have been intended as a baby quilt for the nephew who turned ten this month. I’m so not joking. I wish I were! As a result of it being an early attempt, I had some seams that I didn’t take deep enough. 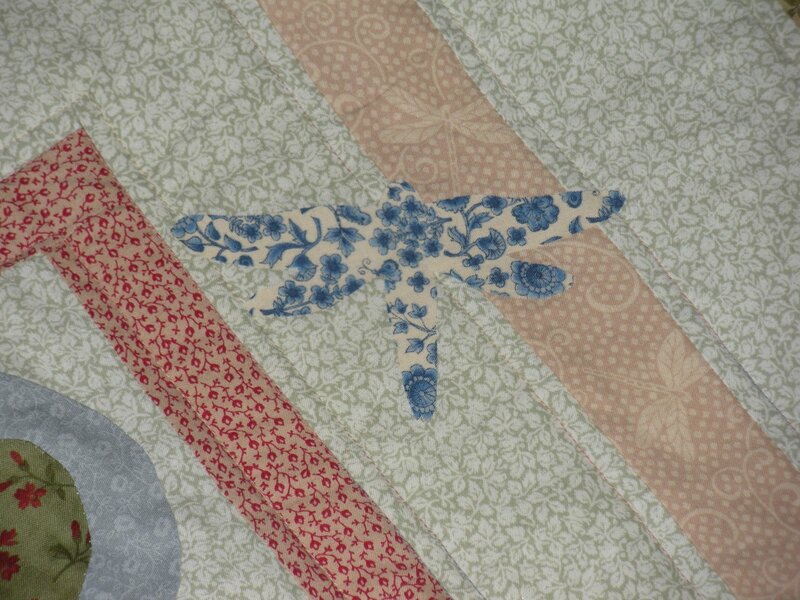 I decided to cover up these “weak” spots with dragonflies, and added a few more dragonflies, just for fun! The cirles are all hand appliqued. 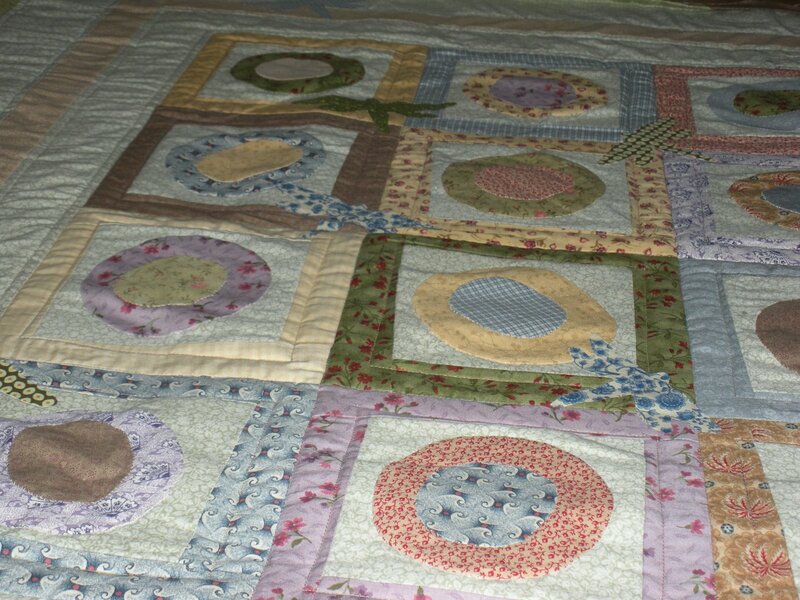 I quilted it with “straight” squares overlapping the wonky squares of the blocks, and some outline quilting in the borders. 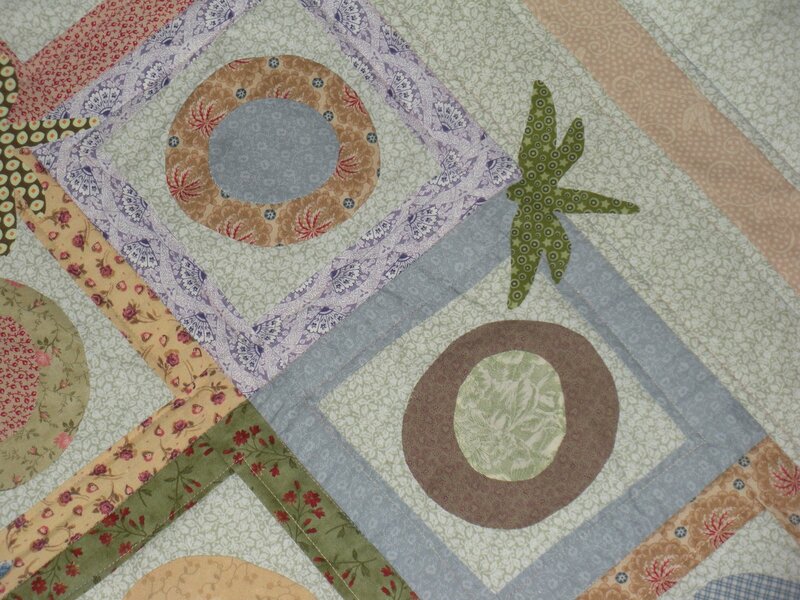 It has been renamed “Dragonfly Dreams” and I think it will be a donation quilt for my church’s auction this autumn. Ah, it’s good to be done with something. Love the addition of the dragonfly appliques. Darling! Hard to believe this one has been a ufo for so long. Congrats on the finish!